Israeli Prime Minister Benjamin Netanyahu’s chief concern is that Tehran will in fact fulfill the agreement on its nuclear program that it negotiated with six world powers, a report citing a high-profile security meeting has said. Netanyahu fears that “Iranians will keep to every letter in the agreement if indeed one is signed at the end of June,” Haaretz reported, citing two unnamed officials present at the security cabinet meeting over the nuclear deal. The meeting reportedly took place after the announcement that Tehran and the P5+1 countries had reached“solutions on key parameters” and US President’s Barack Obama’s speech about the “historic understanding” on removing sanctions against Iran, in return for a deal that would prevent Tehran from developing nuclear arms. “Netanyahu said at the meeting that it would be impossible to catch the Iranians cheating simply because they will not break the agreement,” one of the officials told Haaretz. 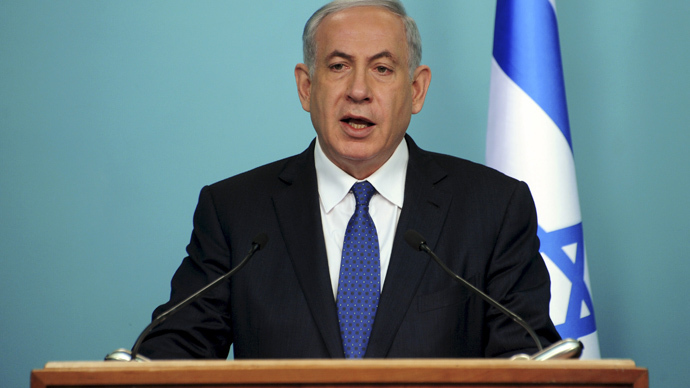 What allegedly bothered the Israeli leader most was the possibility of Iran becoming a “normal” country, seen as posing no threat to the international community. He argued that this would let Tehran to shrug off nuclear monitoring and develop its nuclear weapons after a period of 10-15 years. Netanyahu went as far as calling the Iranian nuclear deal a “historic mistake” and demanded that Iran ended “aggression” in the Middle East, while he vocally lobbied for the P5+1-Iran deal to be derailed. “Instead of lifting the restrictions on Iran’s nuclear facilities and program at a fixed date, a better deal would link the lifting of these restrictions to the end of Iran’s aggression in the region, its worldwide terrorism and its threats to annihilate Israel,” Netanyahu said in a statement last week. On April 2, China, France, Germany, Russia, the EU, the UK, the US and Iran reached a preliminary agreement on the key points of the nuclear agreement after eight days of talks in Switzerland. EU foreign policy chief Federica Mogherini then said a future comprehensive nuclear agreement between Iran and the six powers would be concluded by a June 30 deadline. However, Tehran will not sign a final nuclear deal unless economic sanctions against the country are lifted, the country’s president, Hassan Rouhani, said Thursday. On April 8, the EU extended its sanctions against 32 Iranian companies and banks regarded as being involved in nuclear or ballistic missile activities and providing support to the Iranian government. The US State Department then said the sanctions on Iran would be lifted gradually, depending on how well the nuclear deal is implemented.